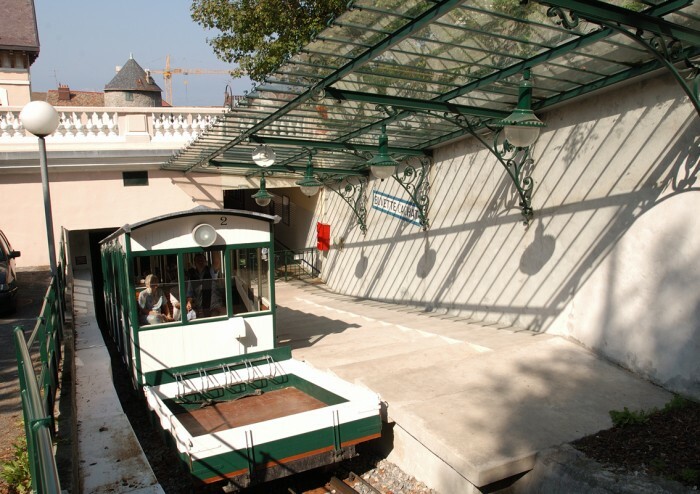 Evian-Les-Bains funicular, also nicknamed « Evian’s little metro », links the city center of Evian-Les-Bans to the township of Neuvecelle. It was until December 16th 1997 the only funicular in the world with six stations. It’s been superseded since by the SMC Funicular which on its re-opening date had 8 stops.